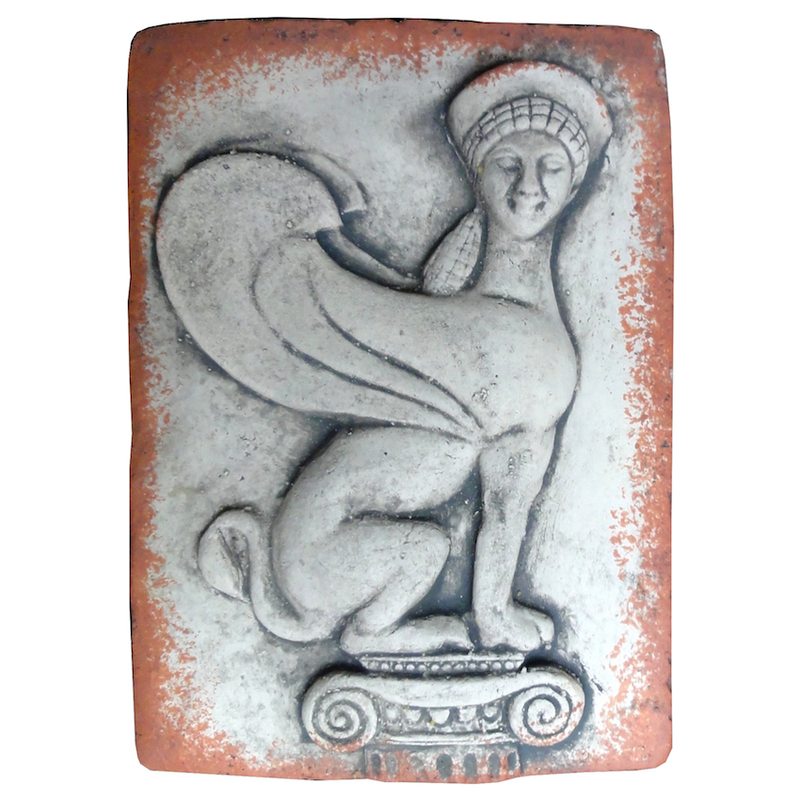 The Sphinx here depicted is freely taken from an ancient bronze found in Crotone. The original sculpture, an Askos, dates back to ca 540 b.C. Crotone, Museo Archeologico.